Come and visit an old fashioned beach community, similar to what you knew as a child. Sunbathe on the beautiful, quiet beaches; hunt for shells and shark teeth while you walk along the shore. Play a round of golf; catch up on your tennis. Bring home your own freshly caught dinner when you fish along the surf. Or crab or shrimp in the island’s back marshes. 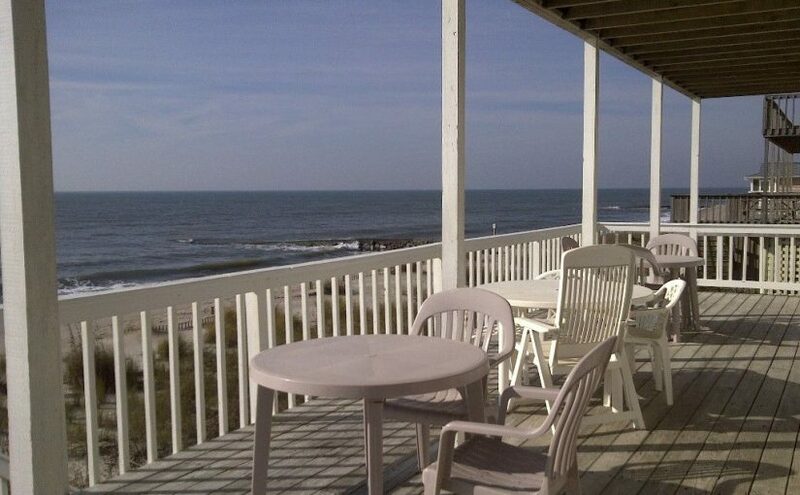 Our villa is located on the golf course of Ocean Ridge Resort, on Edisto Island. This spacious unit has two bedrooms and an open sleeping loft. With two queen-size beds and two singles, it will sleep a total of six guests. There are two bathrooms – including a master bathroom with a whirlpool tub. Special features include ceiling fans in every room, vaulted ceilings, a fireplace, and a screened porch with a great view of the golf course. 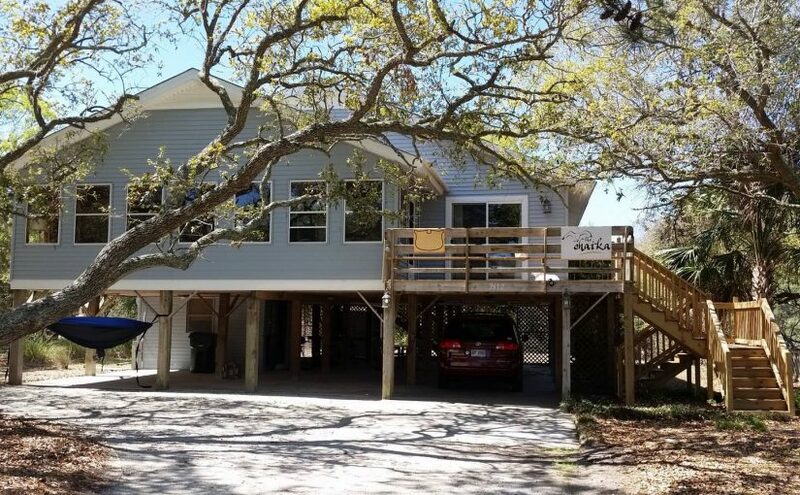 For those who are looking for that unique get away for the family – pick your week or weekend – In Edisto Beach SC! 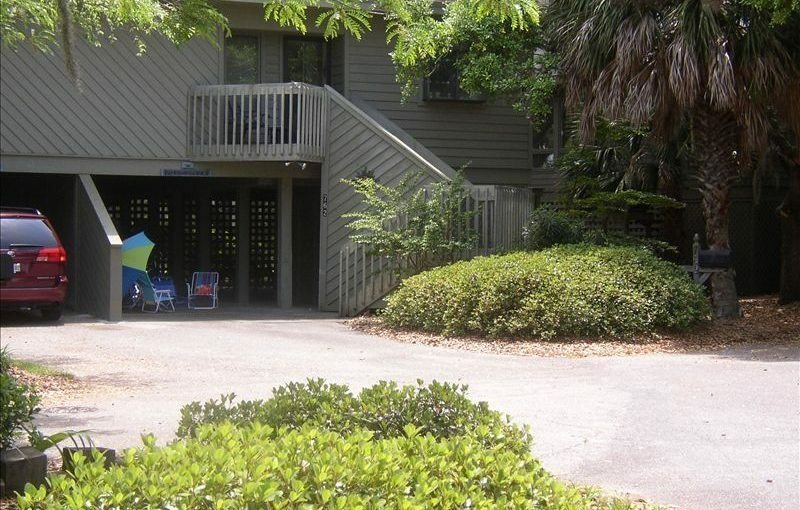 – ONLY short drive from many areas of North and South Carolina and an hour south of the Charleston SC airport. 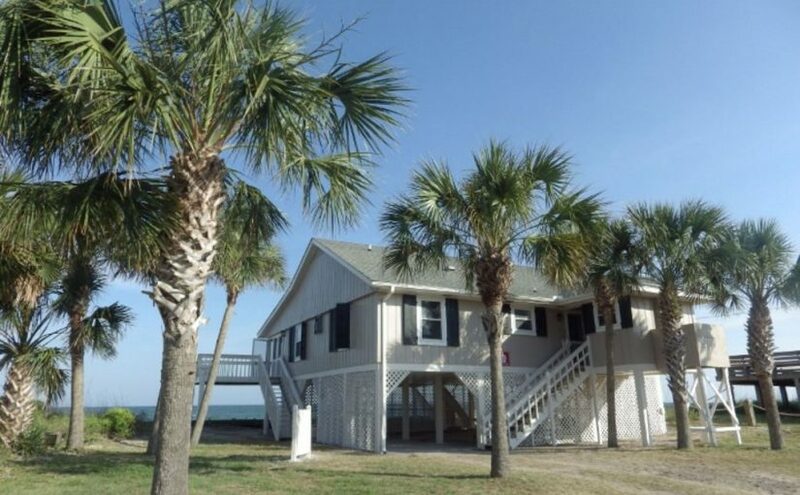 Its been renovated and redecorated with southern beach charm! Pool, Sound or Beach / Boating or Golf its all there – No hotels – No chain restaurants (Except a Subway) – the view below is the actual view from the deck off of the condo – Fresh local seafood! Paradise is here. Perfect for a couple, family or friends to get away from the rat race. Come to Edisto Beach and enjoy the beach the way your remember from your childhood. Our unit is being redecorated and updated so we will be posting more pictures as it become perfect for your visit. 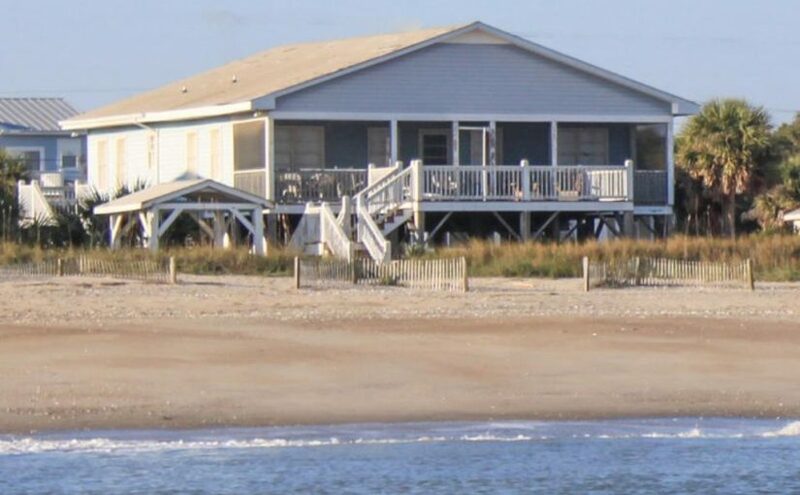 Check out our Pinterest page to see more pictures of Edisto Beach!! The Chaika is a lovely house on a secluded lot at the end of a street with no other house adjacent and no thru traffic. Beautiful live oak in front gives a nice view out the glassed-in porch. Only a short 5-minute walk to the beach on a rarely-used sandy drive. 5-minute drive to St. Helena sound for calmer waters and great beach combing. Chaika means “seagull” in Russian – read the owner bio for info on why that name. A great house for families and friends to connect! And we are pet-friendly. The house is secluded with undeveloped lots on either side and behind us. Being the last house on a no-outlet, sand covered street means very little traffic. The huge live oak tree in the front further makes you feel like you are away from things. Yet it is just a short 5-minute walk to the beach. Guests will have use of the entire house. We have a storage closet under the house and the attic that is not available to guests. The property does not include bed linens, towels, food, or consumable cleaning supplies and toiletries. Pillows (2 per person), blankets (1 per bed), dishes, and appliances are amply furnished. If you want to rent linens and towels, look up Edisto Essentials online. (links not allowed in Airbnb listings). 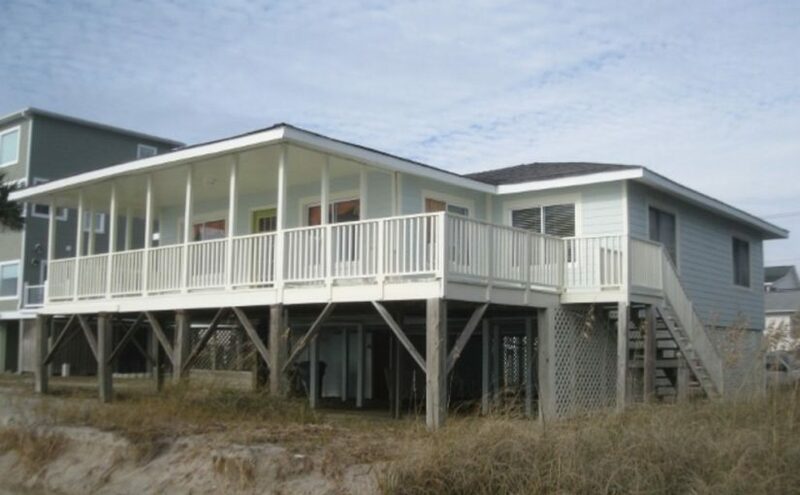 Our property is managed by Edisto Realty who handles check-ins and maintenance needs. Our cleaning fee includes $70 cleaning and the $85 per rental we pay them for management services. Since we don’t live nearby, we won’t get to meet guests. You have the house to yourself. But we love communicating with guests and invite you to like our face (social media) book page Chaika House. 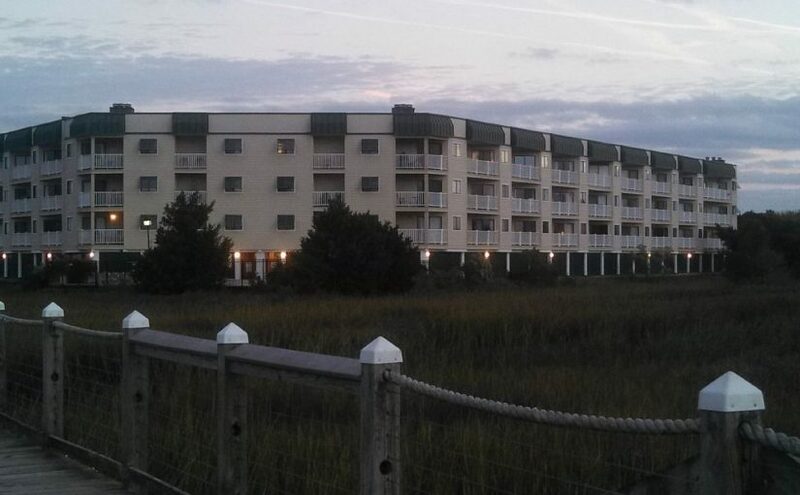 For any issues during your stay, the property manager (Edisto Realty) is on call. We are pet-friendly, but guests need to inform of plans to bring pets upon the first inquiry. We add $160 as a pet fee to help with the costs of additional wear and tear for welcoming our furry friends. 50 lb maximum. We also ask that they are restricted to the common areas, so future guests will not have allergy issues in the bedrooms. If renting fewer than 5 days, we will reduce the $160 by half. It will be added as an adjustment after accepting the rental. AGE LIMIT – our property manager requires special permission if the renters are all under age 25. We can only make an exception if there are sufficient positive reviews or other ways to verify responsible rental plans.